I’ve never been one to read my horoscope or explain my behavior quirks by talking about how I’m an Aquarius. Sure, I’ve had my star charts read, and I know that my moon is in Taurus. I enjoy the entertainment value of these readings, but that’s about it. When someone mentions Mercury retrograde, though, I could go on all day. Nothing has made me a believer in the influence of the astrological world like Mercury retrograde. We’re coming up on another retrograde period, and it’s time to batten down the hatches. Here’s what you need to know. This retrograde will begin on December 3 and will end on December 23, 2017. The phenomenon happens three or four times a year. This round will mark the fourth of the year; we began 2017 in a period of Mercury retrograde that began in the previous year. What is Mercury retrograde, Anyway? “Retrograde” refers to the apparent reverse movement of a planet through the sky. Mercury isn’t the only planet that appears to move in its opposite direction when viewed from earth. It’s just the only one that gets so much attention because Mercury is said to govern our communications. Most of the time, planets move from west to east through the sky, in what is called prograde motion. When a planet moves across the sky in the opposite direction, it is said to be in retrograde. Quite simply, retrograde happens when a faster-moving planet — the earth — catches up to and passes a planet that is moving slower around the sun. It’s similar to two vehicles passing one another in traffic. Both are moving forward at the same time, but if you’re in the faster vehicle, you might notice that the car beside you appears to be moving backward for just a moment. Try it next time you pass a semi-truck going relatively the same speed as you. 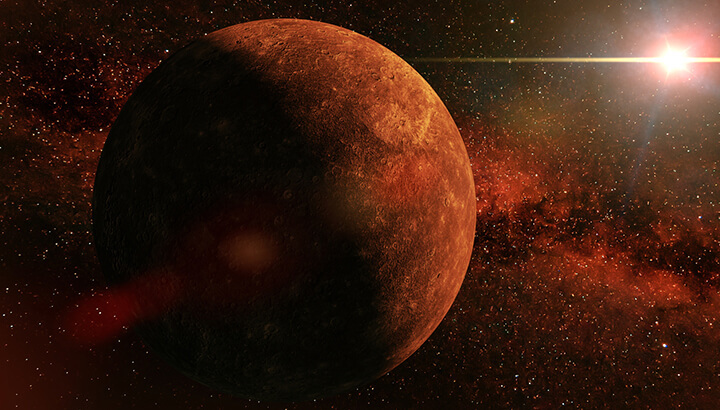 Why is Mercury retrograde important? Astrology hinges on the belief that the planets influence life here on earth. Science readily accepts some of these influences — the moon’s influence over the waves, for instance — and others are a little harder to prove. For some reason, though, even people who are skeptical about horoscopes and moon charts believe in the power of Mercury retrograde. Mercury is all about communication, like the Roman deity for which it’s named. The planet is said to rule over our memory, intelligence and all forms of communication: emails, texting, writing, phone calls, in-person calls, etc. Communications tend to go crazy during a Mercury retrograde period. Misunderstandings are more prevalent, and seemingly well-running websites, phones and computers suddenly crash, lose files or just act strangely. First and foremost, backup everything. From your photos to your website content, make sure you have a separate copy somewhere else. You don’t have to go crazy, though. For instance, my photos are stored not only on my phone but also in two different cloud storage areas throughout the year anyway. If you have a similar setup, you’re probably safe. Next, make sure you enter the period with an understanding that the universe is not out to get you. Expect some misunderstandings at work. Expect flight delays and texts that suddenly don’t go through. If something goes haywire with your communication, just breathe to reset yourself and fix the problem. We go through these periods a few times every year — and always have. It’s going to be okay. Since our communication methods aren’t at their best during Mercury retrograde, it’s best to avoid a few activities, if possible. If you can avoid it, wait to enter into any agreements or contracts during Mercury retrograde. While this isn’t always realistic — we all have bills to pay! — it’s ideal to execute these agreements at other times of the year. Just like the apparent motion of the planet during retrograde, things aren’t always what they seem during this period. You probably shouldn’t schedule your three-week long trip to Europe during Mercury retrograde, unless you’re willing to deal with delays. I’ve experienced this myself, coming home from a vacation on the first day of the retrograde. Several things went wrong that day, from a flight delay to several pieces of luggage getting left behind and a re-routed flight because of weather. Sure, you could argue that those are coincidences, but it seemed too coincidental just to be bad luck. Again, Mercury governs communication. If you want your seminar or project to resonate with audiences, use this time to plan, but not present them. Be aware that you may have to deal with more appointment cancellations during this time as well. No shows also increase during a retrograde period. It’s best to wait to ask your love to marry you or move in with another person until after Mercury goes direct. What seems like a good idea during the retrograde period might end up being the wrong choice for you in the long run. Remember that Mercury retrograde only lasts for three weeks. It’s just long enough for us to notice it, but not so long that it wrecks opportunities or a whole financial quarter at work. For this retrograde, we also get the treat of the only supermoon of 2017. While this might sound like a disaster waiting to happen, full moons aren’t anything to be afraid of. During this supermoon, the moon will be closer to the Earth than it has been all year. It will also be in Gemini, which is ruled by Mercury. The good news is that astrologists say this particular supermoon is “lighthearted,” which is a nice way to end the year. It may also bring a new love interest your way. Just wait to make any big decisions until after December 23! So, as we enter this period together, remember that we’re in it, together. We’ll get through this seemingly hectic period and hopefully do so with a little humor. Have you ever experienced the effects of Mercury retrograde?